18ct aquamarine and diamond ring. Product code: 645 Categories: Sold Items, Sold Rings. 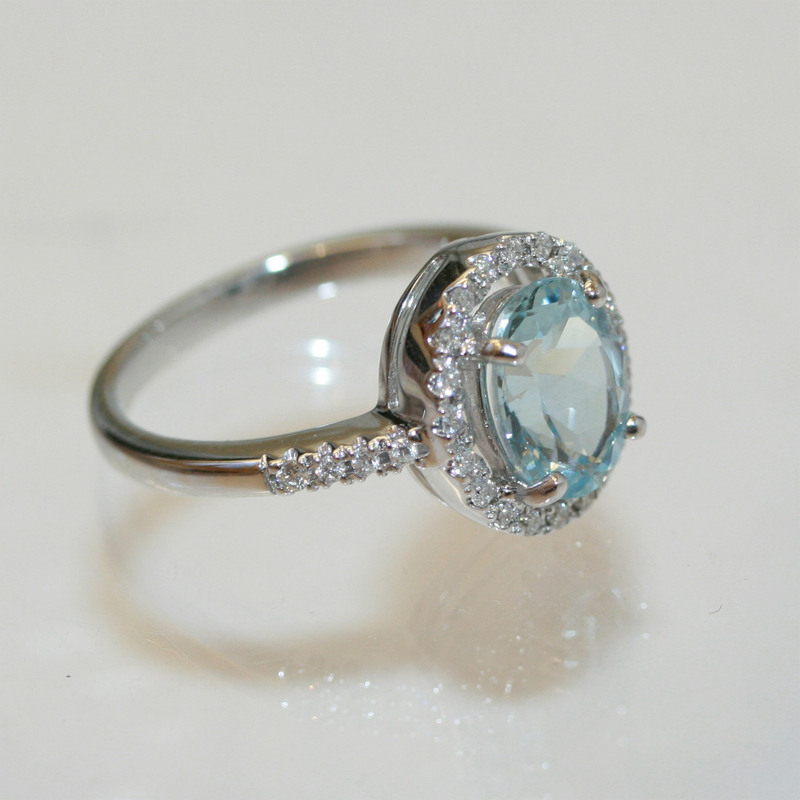 This is a wonderful ring set with a lovely oval aquamarine, surrounded by diamonds with diamonds on each side. The aquamarine measures 1.60 carat and the diamonds total 0.24cts. The combination looks and works so well together. It is made in 18ct white gold, and looks fantastic on the finger! This is a ring that is just perfect.